The business commenced as a full service Real Estate Company, Crisson & Company in 1957. In 1989, the business was incorporated. CHB Crisson Ltd., the Company's subsidiary, was incorporated in 2010 as a full service Civil Engineering and Land Surveying Company. We are a small firm of licensed salespersons dedicated to providing personal attention to each client's needs from landlord to tenant, buyer to purchaser including residential and commercial sales and rentals. Our Property Management portfolio includes apartments, executive homes, condominium complex management and commercial properties throughout Bermuda. 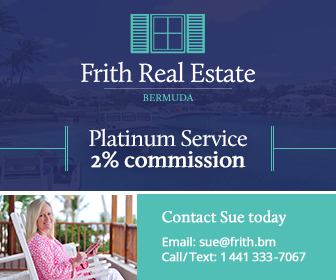 Our business encompasses the whole of the Bermuda Real Estate Market - Bermudian and Non-Bermudian. In January 2011, we purchased the Land Survey business known as Gauntlett Chartered Surveyors. We gained the valued assistance of Mr. John Noon, MRISC as Senior Land Surveyor. Also in 2011, we acquired the records of Surveying Services Limited and Steven Matthew, also a Registered Land Surveyor, joined our surveying team.